Glenn Beck says Sean Smith's final message to EVE Online players was actually a coded rescue call to the Agency. EVE Online player and U.S. Foreign Service Officer Sean "Vilerat" Smith, along with U.S. Ambassador to Libya Christopher Stevens and security personnel Glen Doherty and Tyrone Woods, were killed on September 11 in an attack on the U.S. consulate in Benghazi. Smith's death was of particular relevance to gamers due to his standing in the EVE Online community; his final message to the outside world actually went to his fellow EVE players. But in Glenn Beck's world, that's not what happened at all. He believes Smith's final words were a coded call to the CIA for help, and that Smith himself was a CIA man, in Benghazi as part of a mission to cover up the Obama administration's involvement in the Libyan uprising. "He noticed that they're watching all three [exits]. So what does he do? Nah, he doesn't call the White House, he doesn't call the State Department, he doesn't call the embassy in Tripoli. He goes to a gaming website. Which is the first thing I would do. I'm like, I gotta check with my pals on the gaming website. 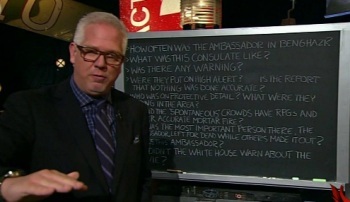 And he writes: "We're in Benghazi at a safehouse. If we get out of this one alive, I'll let you know. There are people watching all three exits." Gang... he's not telling his friendly gamers. He's a CIA agent. He is telling people - this is where we are, help us!" Some people see Glenn Beck as a speaker of truth, while to others he's just all kinds of nuts. If you have the stomach for it, you can listen to the full bit at The Mittani's website and then form your own opinion. The Mittani, for the record, denied that Goonswarm is a CIA front.